"DuPont™, Kevlar® are trademarks or Registered trademarks of E.I. du Pont de Nemours and Company". 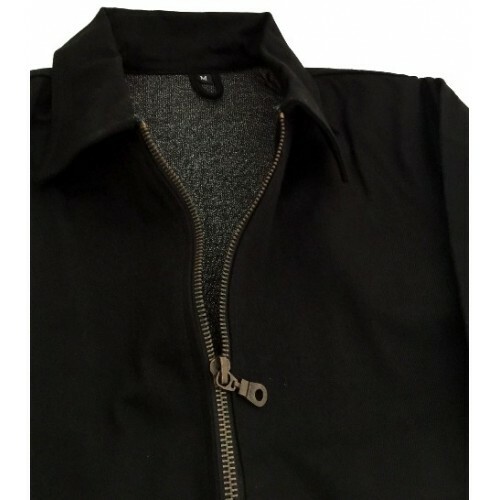 This Black Denim Jacket is designed off of the popular "Dickie's" Waist Style Jacket, but Better Quality & Thicker Denim! It has Two outside Pockets, and Two Inner Pockets one with a Zipper. 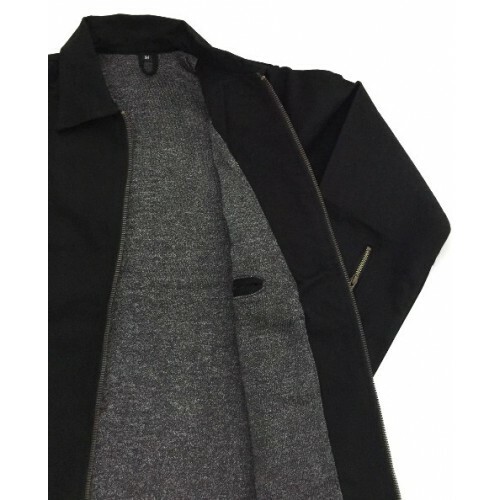 Classic Snap Sleeves with Zipper Adjustements and Fashion Collar, the difference with this Jacket and our "Chino" Jacket is this HD Jacket is Denim Cotton Weave and weighs 3lbs 11oz for Maximum Protection! It's Fully Lined with "Dyneema" DuPont™, Kevlar®, now the "Dyneema" is 20% Stronger than typical DuPont™, Kevlar® for more protection it's a Military Grade! Flame Retardant, Knife "Slicing", (not stabbing, sorry!) Road Rash Protection! Won't Stop Bullets though. 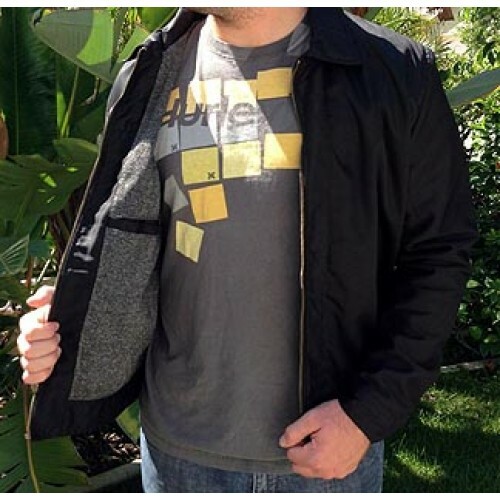 The sleeves are lined and the front and back is lined with this black and white Dyneema DuPont™, Kevlar®! 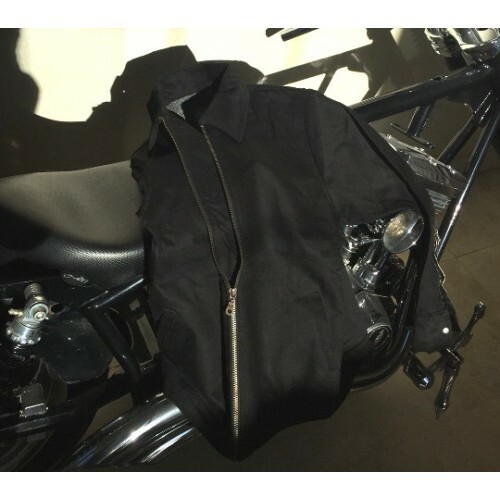 Don't be Riding without the DuPont™, Kevlar® Protection of our "Dyneema Enhanced" Lined Jacket! 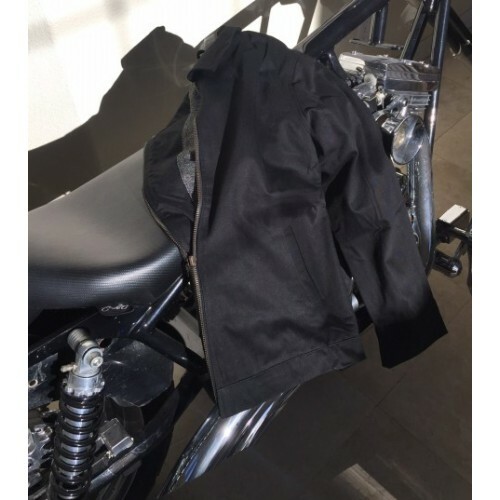 This Heavy weight Jacket is Perfect for Fall & Winter Riding! Still Embroidable! Or you can sew patches on it too! DO NOT DRY IN A DRYER! YOU CAN "COLD" WASH AND LAY OUT TO DRY OR DRY CLEAN ONLY! We have Larges and XL's in Stock that's it! PLEASE MEASURE YOUR FAVORITE JACKET AND MATCH THE MEASUREMENTS ABOVE! 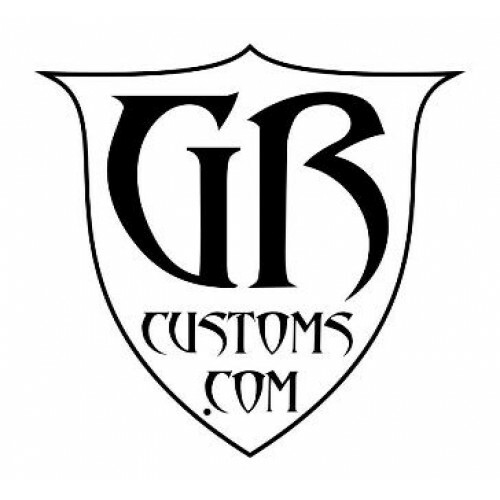 Shipping is $18.00 to USA residents and $48.00 for International Shipping. We also Refund ANY Overcharges back to your card once we know what it is!